Google is setting up a free outdoor Wi-Fi zone around its New York headquarters in the Chelsea district, making it available to local residential homes and schools. At a press conference on Tuesday, New York's Mayor Michael Bloomberg said that free Wi-Fi was a "great idea" and the city has already wired up 20 public parks in the Five Boroughs, with another 32 to come, but Google's addition "takes us another step forward in ground-breaking fashion." "This neighborhood can now claim to be the first in Manhattan with totally free outdoor Wi-Fi," he said. "Free Wi-Fi for all is just another reason why Chelsea is one of the hottest neighborhoods on Earth these days." 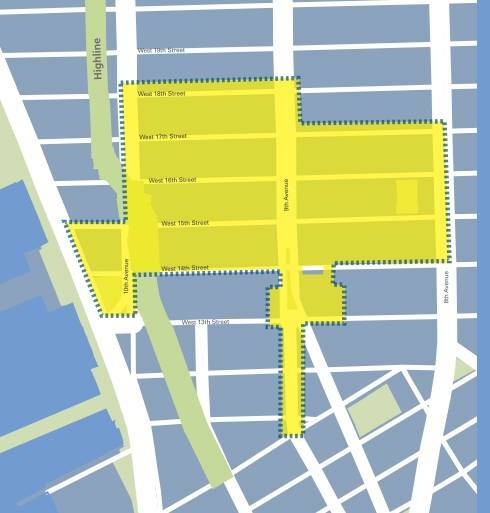 The network ID is "CIC Free WiFi" and the signal covers from Gansevoort St. and 19 St. from 8th Ave to the West Side Highway, as well as the neighborhood’s public spaces, including the Chelsea Triangle, 14th Street Park, and Gansevoort Plaza. For non-New Yorkers, and Brooklyn hipsters who wouldn't be seen dead in the place, here's the map of South Western Manhattan. Ben Fried, Google's chief information officer and a New Yorker born and bred, said the move was designed to show the company's commitment to the neighborhood. New York was Google's second largest office he said, and the company hoped it would bring the community together.